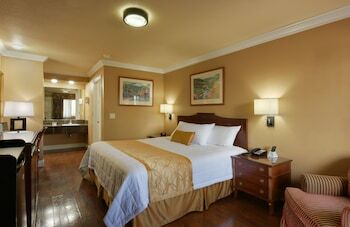 You may still be able to book by calling the hotel at 408-993-1711. 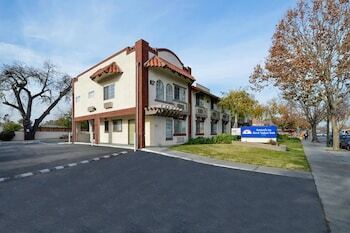 Located in San Jose, Americas Best Value Inn San Jose Convention Center is a 4-minute drive from Spartan Stadium and 5 minutes from Happy Hollow Park and Zoo. 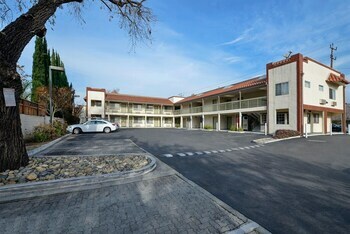 This motel is 10.6 mi (17 km) from Levi's Stadium and 1.3 mi (2 km) from San Jose Institute of Contemporary Art. 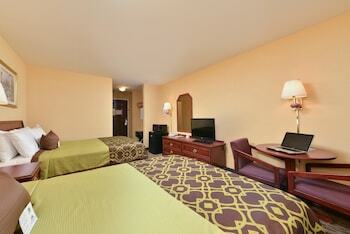 Make yourself at home in one of the 26 air-conditioned rooms featuring refrigerators and microwaves. Complimentary wireless Internet access keeps you connected, and satellite programming is available for your entertainment. Bathrooms have bathtubs or showers and complimentary toiletries. 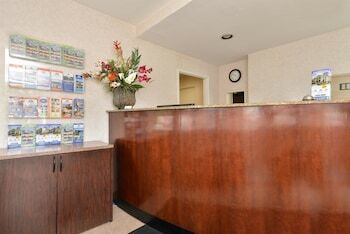 Conveniences include phones, as well as complimentary newspapers and fans. 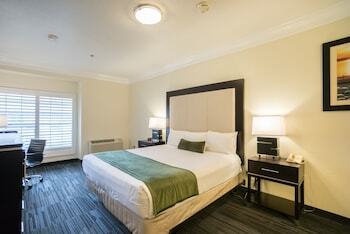 Featured amenities include express check-in, a 24-hour front desk, and a safe deposit box at the front desk. Free self parking is available onsite. 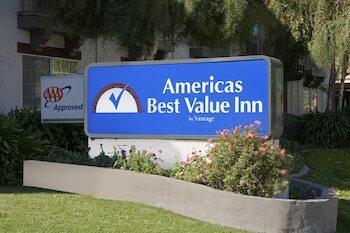 Americas Best Value Inn San Jose Convention Center is a 2-star hotel located at 1415 Monterey Road, San Jose, CA 95110, US . Its nightly price usually falls between $84.6 per night and $229 per night, excluding tax, depending on room category. 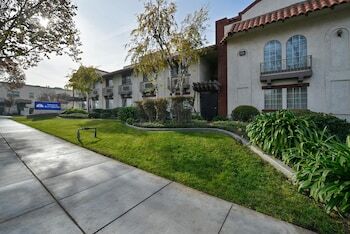 At Americas Best Value Inn San Jose Convention Center, seniors often get 5-10% off the regular rate. For example, on , a senior rate of $84.6 per night was offered. $85 per night found for a Automotive Club - 1 Queen Bed-Accessible-Nonsmoking-Sofa-Separate - Sitting Area-Free Wifi-Microwave-Minifridge- room type. For December 27, 2018, a special Senior rate of $84.6 per night was found for the Senior Discount - 1 Queen Bed-Accessible-Nonsmoking-Sofa-Separate - Sitting Area-Free Wifi-Microwave-Minifridge- room type. Americas Best Value Inn San Jose Convention Center sells rooms through sites like Room 77, Expedia, Hotels.com, GetARoom, and many others. Room 77 searches across dozens of different sites to find the lowest discount rates available. The lowest rate we've seen over the last few weeks was found on Room 77. In 1% of the cases we surveyed, all sites offered the same rate. You can compare real-time rates from all of these sites on Room 77. Room 77 is the only hotel shopping site that includes special discounts like AAA, senior, government, military, and corporate rates.